The words “fat” and “bomb” conjure up a lot of mental imagery for me, so you can imagine how curious I was the first time I saw them used together as a noun. Was this a non-lethal deep-fried military weapon, or a sadistic prank in this seasons America’s Next Top Model? To my great disappointment it turned out to be neither, but discovering the ketogenic diet this way provided a consolation prize for my curiosity. If we haven’t met before, I’m Kym Campbell – the creator of the free 30 Day PCOS Diet Challenge. This is a live program that helps tens of thousands of women every year use evidence-based dietary changes to take back control of their PCOS. Being in this space means I meet a lot of well-read women that have either tried the keto diet for PCOS, or are thinking about doing so. Lifelong battles with bodyweight are often the norm for women with PCOS so it comes as no surprise that we’re often drawn to this diet. This high fat, low carb approach can have rapid and profound weight loss effects, but that doesn’t mean it’s the right diet for you. Especially if you have PCOS. While ‘going keto’ can pour kerosene into your fat-burning machinery, this weight loss diet has several inconvenient downsides. Since I’ve made it my business to share the most helpful information for anyone wanting to treat their PCOS through diet and lifestyle interventions, it’s important to me that you have all the facts. While a quick google search will tell you a hundred reasons why the ketogenic diet is great, here’s five reasons why you might want to think twice. There’s no question amongst my friends and family that I’m a grade A perfectionist. This is seldom a good thing, especially the first three times I unsuccessfully tried making gluten free, dairy free, egg free, pancakes. Cooking frustrates the heck out of me at the best of times, and the horrific mess I made to create burnt-on-the-outside, uncooked-on-the inside blobs of goop sent me spinning like Taz in a looney tunes cartoon. For many of the women I meet in my PCOS support group, managing both the keto diet and PCOS correctly is an even harder accomplishment. A typical ketogenic diet has you eating around 75% of calories from fat, 20% from protein and about 5% from carbs. This is the equivalent of approximately 25 grams of carbs per day for women that aren’t super athletic. By sticking to such a small amount of net carbohydrates, your body is tricked into ketosis – a metabolic starvation mode that gives this dietary approach its name. Rather than running on the normal glucose-based fuel cycle, like a high-tech hybrid, we start burning fat in the form of “ketone bodies” instead. Because compliance is so difficult, most attempts at getting into ketosis result in people unknowingly failing to achieve the pre-requisite metabolic state. Even if you can get there, it’s easy to fall out without realizing it thanks to all the barriers to successful keto dieting. The first barrier to ketosis is the immediate side effects from carb withdrawal. It can take anywhere from two days to two weeks to enter ketosis and the transition period can be brutal. Discipline is everything, and you won’t want to be underestimating how much you’ll need. Known as the ‘keto flu’, you can expect to feel terrible for at least a couple of days when getting started. Symptoms include brain fog, headache, chills, sore throat, digestive issues, dizziness, insomnia, and irritability. It’s like how you’d feel if you had a math exam in the morning, followed by a public speech in the afternoon – except this time it’s because your body thinks it’s starving. Depending on how well you were eating before trying the keto diet for PCOS, these flu-like symptoms can last for weeks. It only takes one bad decision throughout this period and boom, you’re back to square one. Depending on your metabolic health, age, and activity levels, once you’re out of ketosis for just one day, it can take you weeks to get back to where you were. Once you’re through the first phase and have reached ketosis, the strict macro nutrient requirements pose a threat to you staying there. Depending on your insulin sensitivity, inadvertently consuming too much protein can drop you out of ketosis. The biggest barrier however, is the fundamental restriction on carbs. Fruit consumption needs to be highly restricted and you can only ever eat non-starchy vegetables (not that there’s anything unhealthy about eating lots of vegetables of course). Grains, legumes, and starchy vegetables are almost entirely off the menu meaning your ingredient options are drastically reduced. 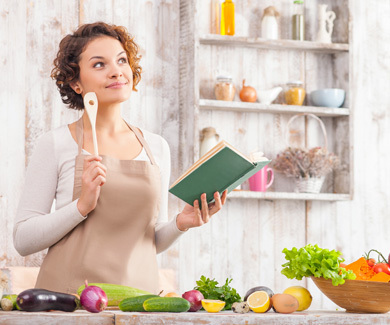 If you’re trying to follow both a keto diet and PCOS dietary principles like avoiding gluten and dairy, then you really need to be creative in the kitchen. I’m not saying that you can’t go keto for PCOS and get great results from it, but unless you’re a super well-informed food accountant, that’s highly disciplined and pays for at-home blood ketone testing, it can be easy to slip out of ketosis without realizing it. For many women that have tried this approach, all these requirements are a little overwhelming and to me this makes it fairly impractical as a long-term weight loss solution. Back in the old days, when my PCOS was getting the better of me, if you gave me the choice between having my teeth pulled and taking away sugar, I would’ve thrown you a roll of dental floss and slid over to the nearest door handle. It was my desire to start a family that eventually opened my mind to changing how I ate. While I only had a minimal appreciation for it at the time, after falling pregnant naturally following four years of unsuccessful fertility treatments, I now understand that quitting sugar is the single biggest dietary change you can make if you want to lose weight, get pregnant, or eliminate your other least favorite PCOS symptoms. In my particular case, this absolutely free dietary intervention proved far more effective than tens of thousands of dollars spent on IVF. This is because all sources of sugar, regardless of where they come from are essentially just a mixture of fructose and glucose. While readily available sources of glucose promote fat accumulation and the kind of inflammation that causes all of your PCOS symptoms, fructose is even worse. I know it’s hard to be mad, at such a sweet, sweet little molecule, but the fructose found in sugar gets processed only by the liver causing visceral fat, and a cascade of metabolic changes that’s been associated with reduced fertility, facial and body hair, adult acne, anxiety, depression, liver disease and much more (Johnson et al. 20171; Carvallo et al. 20172; Lustig 20133; Elliott et al. 20024). Out of the tens of thousands of women from my free 30 Day PCOS Diet Challenge that I’ve helped through the sugar quitting process, I’ve never had a single report of someone not feeling better after successfully doing so for a couple of months. If you haven’t tried it before, then you’re really missing out. If you have tried it though, and found it much too difficult, then you’re clearly 100% normal. Quitting sugar is without question, an incredibly difficult step to take. It took me a good couple of years to really get my head around why this was so valuable, as well as figuring out just how to do it in practice. As someone that was comfortably above the third standard deviation in their class when it came to pounding sugary foods, I can really resonate with people that find this idea either scary, overwhelming, or seemingly impossible. Research has clearly demonstrated a number of similarities between food addiction and drug use disorders (Pivarunas et al. 20155) with it well documented that sugar is more addictive than cocaine – well for rats anyway (Ahmed et al. 20136). A human trial is apparently too hard to get past the ethics committee review board, despite the number of willing volunteers. 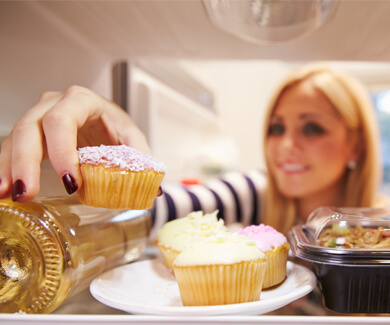 There are many things you can do from behavioral to nutritional changes that can ease the discomfort of sugar withdrawals. Unfortunately for people on a keto PCOS diet though, one of these happens to be eating a small amount of low GI carbohydrate foods with every meal. This is something I introduce during my free 30 Day PCOS Diet Challenge as a helpful way to keep cravings to a minimum. When you follow the ketogenic diet, you miss out on this valuable nutritional support. This means that not only is it more difficult to resist the temptation of that loud-mouth vending machine that keeps calling your name, but it also raises the stakes when you eventually cave to your instinctive desires. One survival Snickers later and not only are you unlikely to be satisfied, but you can also say goodbye to your ketogenic metabolism. Keto and PCOS diets treat carbs slightly differently, but this difference really matters. Unlike the 25 g/day limit of the ketogenic diet, aiming for around 50 – 200 g/day of carbs is the sweet spot I recommend for women with PCOS that complete my diet and lifestyle programs. This leaves plenty of room for 1-2 servings of fruit as well as a small portion of gluten free grains, legumes, or starchy vegetables with every meal. This gives us the hormone balancing, and weight loss benefits of the ketogenic diet, but it’s much easier and more sustainable long term. 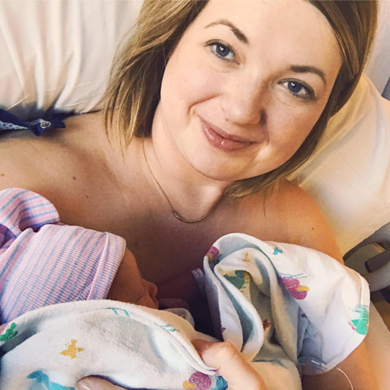 Jamie Bietzell, who was desperate to lose weight as she battled PCOS infertility, is a perfect case in point. 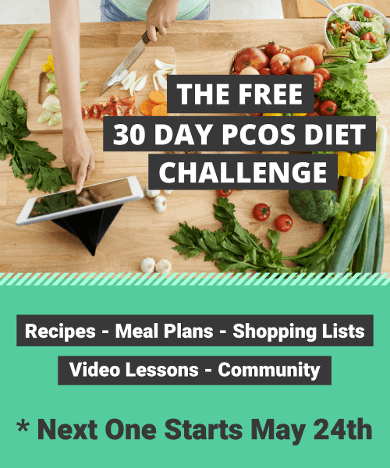 After failing to achieve meaningful long terms results with the ketogenic diet as well as many others, Jamie signed up for my free 30 Day PCOS Diet Challenge. Within three months of adopting the PCOS friendly diet I helped her implement during this live event, Jamie started getting a regular period for the first time in years. By eating a small amount of carbs with her meals she was able to completely quit sugar and after five months she had lost 50 pounds. She went from a size 22 jean to a size 18, her A1C levels fell out of the diabetic range, and her blood pressure measurements showed she was no longer hypertensive. A few months later her four-year battle with infertility ended with a healthy, happy, natural pregnancy. Results like these show you don’t need to completely forgo carbs in order to transform your health and fertility. Jamie gave birth on Christmas day, and she has kindly allowed me to share her celebratory announcement here. You can read a full account of her journey here. Karina, is another great example of how a small amount of carbs can make all the different in quitting sugar. After taking part in my free 30 Day PCOS Diet Challenge, she was able to lose 60 pounds over a nine-month period by continuing to apply the things she learned. This was no easy feat for her as by all accounts Karina had a serious sugar addiction and she loved gluten-rich foods just as much – especially bread. But with the right information and support, a small amount of carbs, and some great determination, Karina was able to make an amazing health transformation that will serve her for the rest of her life. The relationship between PCOS and disordered eating is well established in the scientific literature. This is a problem I see women struggling with on a daily basis in my PCOS Support Group and seems to be particularly prevalent amongst frequent “failed” dieters. A big part of the problem is that the hormone dysregulation that characterizes PCOS is associated with increased appetite, impaired impulse control, and feelings of body dissatisfaction. These physiological effects commonly lead to binge eating which in turn has been shown to make our PCOS symptoms worse (Paganini et al. 20187). 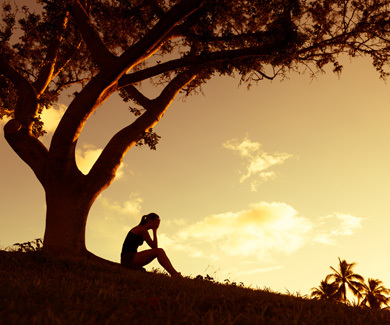 In an attempt to quantify these risks, researchers from the University of Pennsylvania found that women with PCOS were nearly five times as likely to have some kind of eating disorder – especially if they also suffer from anxiety or depression (Lee et al. 20178). With disordered eating being such a common feature within our PCOS community, addressing our relationship with food is likely to be even more important than just learning about nutrition. For anyone that’s spent most of their adult life battling their weight, breaking the “diet mentality” is often the best place to start. 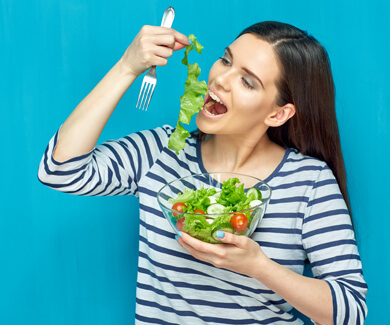 The diet mentality is a way of thinking about food that requires rules and discipline, and has you thinking about your choices in terms of “good” and “bad” behavior. This is hard to avoid when going keto, as the demands of the diet require you to be overly attentive to every bite you eat if you want to stay in ketosis. When you have a healthier relationship with food, you can trust your innate ability to eat wisely. And those rare occasions where things don’t go as planned, barely register as a minor bump on the road, rather than snow-balling into an obstacle that derails you. This is a core component of a PCOS friendly lifestyle and is a key success factor for the tens of thousands of women that do my free 30 Day PCOS Diet Challenge each year. Just to be clear, while I call it a PCOS diet for the sake of simplicity, I’m not actually describing a “diet” that requires a bunch of calorie restrictions. I use the term diet as something you “have” for life, rather than something you’re “on” for a while. I know this sounds like I’m playing with words here, but hopefully you’ll get the nuance I’m trying to describe? A PCOS diet like the one I teach in my free live Challenge is a principle-centered approach that uses food as a long-term treatment for a chronic illness. You don’t count calories or macro’s, and there’s no negative consequences from “having a bad day” because this is part of the process. By subscribing to general principles that allow you the freedom to choose, you’re working with, rather than against, your natural psychology. This is a fundamental difference between a PCOS and keto diet. With a PCOS diet, you’re not being told what to do by a prescriptive set of rules that has you weighing your food, looking up databases, performing calculations, and doing daily measurements of your ketone production. It’s like the difference between someone who learns how to play the piano by rote versus a naturally gifted musician who plays by ear. The instrument, the music, and the sound may be similar but the effort and process is totally different. If there’s one thing that we all have talent for, it’s knowing what and how much to eat. We just need to get back in touch with this wonderful gift and let our bodies play out their melody. 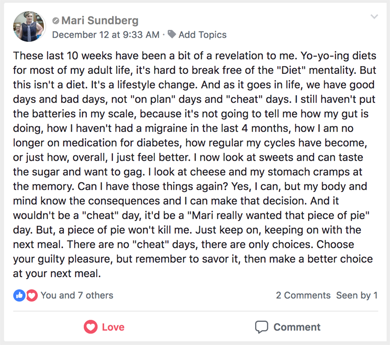 Some of my previous program participants do a much better job than me of explaining this succinctly especially after completing the Intuitive Eating Module in my full 10 Week PCOS Program. This heart felt message was recently posted at the end of my last program and is published here with permission. 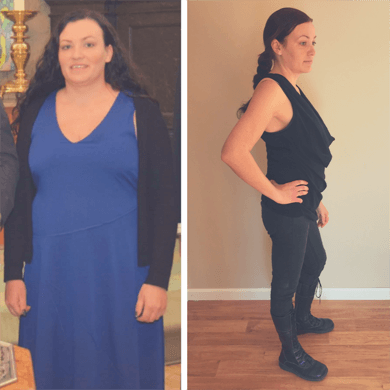 Bianca talks about some of the specific steps she took (including her approach to carbs) in her full success story here. While I think it can be useful to learn about macro ratios, this is to help with long term trends in the kinds of food we eat rather than as a strict set of rules that must be obeyed. Due to the way it works, the same can’t be said for the keto diet where austere rules and military grade discipline are non-negotiable if you want to stay in ketosis. This is why I say a PCOS and ketogenic diet while clearly similar are very different psychologically. To me, a keto diet is the opposite of a healthy relationship with food. In defense of this approach, the ketogenic diet is often not supposed to be a permanent solution (unless you have epilepsy, Alzhemier disease, or a range of other relatively rare diagnoses). As far as I’m aware, there are few to no credible experts recommending a keto diet for PCOS as a long-term solution. So if you’re looking for another short-term gig to get your weight down, the keto approach can certainly be a powerful intervention if done correctly. But for anyone wanting long term freedom from the diet mentality, PCOS weight gain, infertility, or any of the other common symptoms caused by this disorder, then the keto diet is probably not for you. Given all the dietary restrictions of a keto PCOS diet, it can easily lead to poor nutrient status. The ketogenic diet is known to be nutritional imbalanced and has the potential to cause vitamin and mineral deficiencies that include calcium, phosphorus, magnesium, and selenium (Bergqvist et al. 20039; Arslan et al. 201710). As I explain in my free PCOS Nutrient Inadequacies Guide, women with PCOS already have elevated risks for various deficiencies, and it’s likely that a keto PCOS diet would make matters worse rather than better. Another key problem is its effects on the microbiome. While I’m sure there are good keto dieters that have plenty of solutions to this problem, for a lot of women trying the keto diet for PCOS, it’s common to consume inadequate amounts of fermentable fibers. This makes perfect sense when you consider the limitations on fruits and vegetables that are generally rich sources of the prebiotic fiber our gut bacteria rely on. Experienced clinicians have commented on the prevalence of several markers of gut dysbiosis in patients following the ketogenic diet, and speculate that this could open the door for pathogens to colonize the gut11. Recent evidence supports this theory as studies have linked a diet low in fermentable fibers to inflammatory diseases like PCOS (Sonnenburg et al. 201412). As someone who grew up fairly nonchalant when it came to eating greens, this was one of the three reasons that convinced me to be more intentional when it came to eating vegetables. As I describe here, the microbiome plays a role in almost every element of our health, mental wellness, and even our food preferences. Given so much is at stake, cultivating a healthy gut is an essential aspect of a PCOS friendly lifestyle, and there seems to be little evidence that a ketogenic diet is helpful in this regard. Katrina is a perfect case in point. After the birth of her daughter, Katrina had gained 50 pounds and felt like she was losing her femininity. She had tried the keto diet (among others), and while she could lose weight on them it always came back, and it did nothing to help with her irregular periods, inflammation, or her unwanted facial hair. After taking part in my free 30 Day PCOS Diet Challenge Katrina started following my PCOS diet principles. Rather than cutting out carbs entirely, she just got smarter about how she ate them like lowering the amount she ate, and swapping sweet potatoes and zoodles for French fries and pasta. Fast forward a few months and not only was Katrina sleeping better, feeling stronger, seeing improvements to the texture of her skin, and no longer suffering from acid reflux, but she also lost 19 pounds and fell pregnant naturally despite having suffered from secondary infertility. 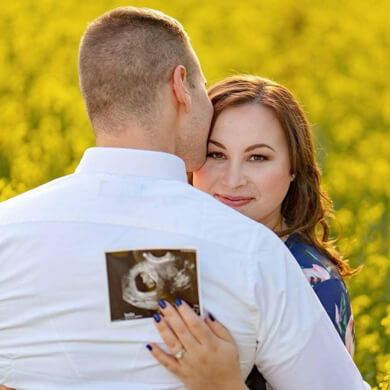 Katrina went on to have a “wonderful, energetic pregnancy” which was such a relief for her as she had previously suffered from gestational diabetes while pregnant with her first child. Katrina wrote an absolutely beautiful and inspiring summary of her journey which you can read here. I think it’s fair to say that a ketogenic diet is a means to an end. For most women with PCOS this either means weight loss and improving your metabolic health, getting a regular period again, overcoming infertility, fixing hair and skin problems, or a combination of these objectives. While the ketogenic diet may offer some short-term relief, for the vast majority of women, it’s simply not a good long-term solution. Especially when a PCOS diet can get you results that are just as good. The most important thing to understand when trying to address any PCOS related problem is the difference between underlying mechanisms and presenting symptoms. The roots of the PCOS tree are made from elevated androgenic hormones (like testosterone), and diet-induced inflammation (Gonzalez et al. 201213). These roots are the underlying cause of PCOS. Insulin resistance on the other hand is more like the trunk (Gonzalez 201214) which supports the presenting symptoms. Out on the main branches you have unfair weight gain, and poor ovarian function, with everything else being out on a limb. You don’t need to be an arborist to know that digging up the roots, while by far the most difficult thing to do, is also the best way to knock that tree down for good. This is why a PCOS friendly diet that focuses on reducing inflammation is so successful for treating this disorder. When we embrace a PCOS diet, we avoid pro-inflammatory foods like those in this Foods to Avoid checklist, and we include nutrient dense whole foods like those in this PCOS Diet Cheat sheet. Unlike when you attempt the keto diet, you don’t actually need to eliminate carbs to beat PCOS. In fact, eating low carb, and slow carb, from wholefood sources allows you to lose weight sustainably while promoting a healthy relationship with food. It’s nutritionally balanced, far easier to implement and I’ve seen thousands of women have amazing success with this approach. Kendall for example, lost 100 pounds over a three-year period simply by eating in accordance with these principles. 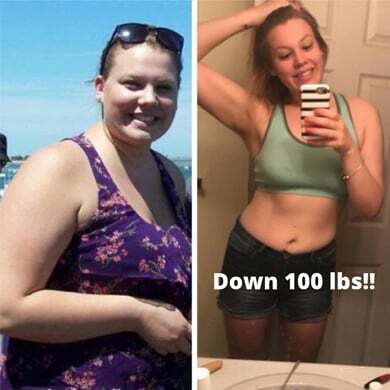 As well as this outstanding demonstration of the sustainability of a PCOS friendly lifestyle for weight loss, Kendall managed to fix all her other symptoms as a result of the changes she made. If you’re considering the keto diet because you’re trying to get pregnant, then hopefully the nutritional deficiencies I described in Reason #4 are enough to make you question this approach. By comparison a PCOS diet is a much safer way to go and it’s been shown time and time again to produce healthy happy pregnancies. 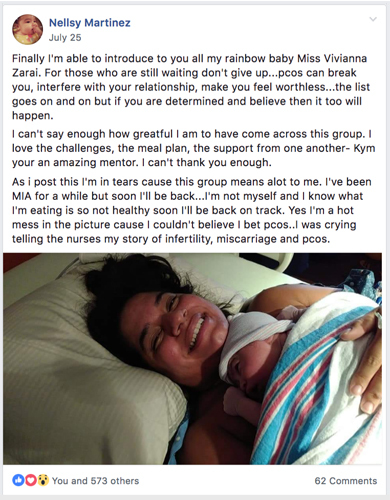 Nellsy Martinez was able to overcome four years of infertility after making a slow but intentional transition to the kind of diet she learned during my free 30 Day PCOS Diet Challenge. 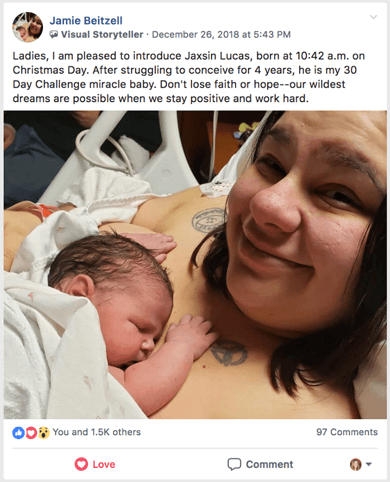 Nellsy is a very active participant in my PCOS Support Facebook Group and was happy for me to share this touching post she wrote shortly after the birth of her daughter. 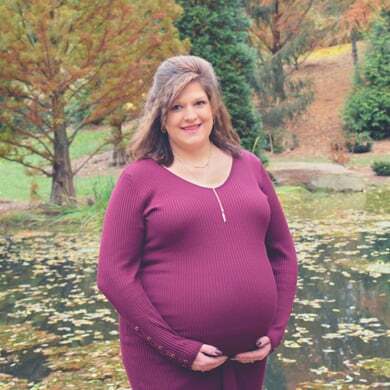 Alisha P also relied on a PCOS diet to help her fall pregnant. 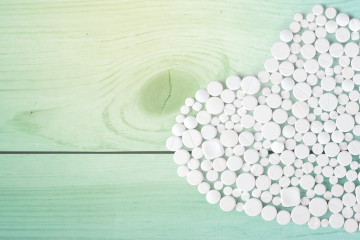 Despite the calls from her OB and endocrinologist to take metformin and clomid, Alisha believed there had to be a better way. She took her fate into her own hands and focused on both learning and applying a PCOS diet. Alisha had not had a period in over 8 months, yet suddenly she starting getting them on time. 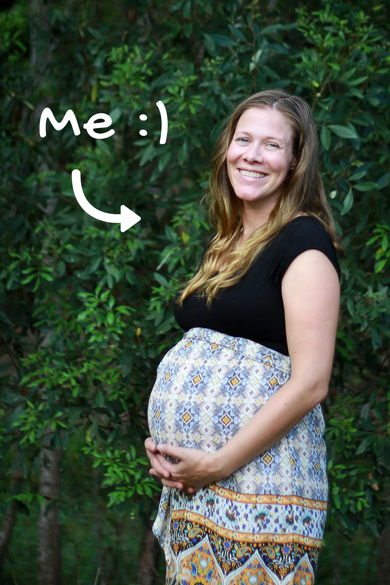 Within only a couple of months after finishing my in-depth 10 Week PCOS Program she had lost 30 pounds and fallen pregnant naturally – just as she’d always hoped for. You can read her full story here told in her own words. If I’ve convinced you by now that the keto diet may not be right for you and like these inspiring women, you’re open to using dietary interventions to tackle your PCOS head on, then I have a couple of free resources to get you started. 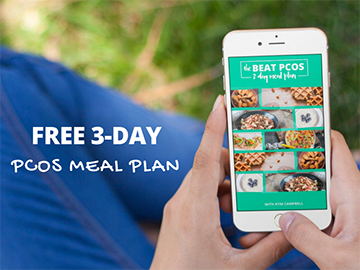 A good place to begin is this 3 Day PCOS Meal Plan. 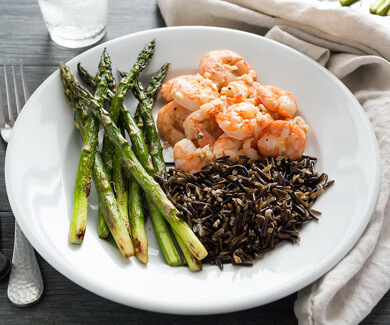 This will give you a feel for the kinds of normal meals you can enjoy while treating your PCOS. I would also suggest putting a copy of this PCOS Diet Cheat Sheet on your refrigerator door and trying to avoid foods on this PCOS Foods to Avoid Checklist. For a more immersive experience though, I also recommend signing up for my next free 30 Day PCOS Diet Challenge. During this live event, I’ll send you a series of video lessons, daily challenges, as well as weekly meal plans, recipes and shopping lists. Unlike trying to get into ketosis, my 30 Day Challenge is EASIER than you think, and I can guarantee you’ll both see and feel the difference if you embrace this type of diet. This live Challenge is a great thing to be a part of, as it gives me the chance to show you how beatable your PCOS really is. It doesn’t matter how ambitious your health goals are, with enough time and the right information, I believe anyone can overcome this disorder without going to the extreme of a ketogenic diet. The right PCOS diet truly is the safest and most effective long-term solution and it’s the only prescription you can fill without anyone’s consent but your own. I run the Challenge four times a year so I hope you’ll come join us soon. 1Johnson, Richard J.; Sanchez-Lozada, Laura G.; Andrews, Peter; et al. Perspective: A Historical and Scientific Perspective of Sugar and Its Relation with Obesity and Diabetes. ADVANCES IN NUTRITION, 2017. 2Carvallo, Pamela; Carvallo, Eugenia; Barbosa-da-Silva, Sandra; et al. NAFLD and High Fructose Intake. A Review of Literature. INTERNATIONAL JOURNAL OF MORPHOLOGY, 2017. 3Lustig, Robert H. Fructose: It’s “Alcohol Without the Buzz”. Conference: Symposium on Fructose, Sucrose and High Fructose Corn Syrup – Modern Scientific Findings and Health Implications held at the ASN Scientific Sessions and Annual Meeting at Experimental Biology Location: San Diego, CA Date: APR 22, 2012. ADVANCES IN NUTRITION, 2013. 4Elliott, SS; Keim, NL; Stern, JS; et al. Fructose, weight gain, and the insulin resistance syndrome. AMERICAN JOURNAL OF CLINICAL NUTRITION, 2002. 5Pivarunas, Bernadette; Conner, Bradley T. Impulsivity and emotion dysregulation as predictors of food addiction. EATING BEHAVIORS, 2015. 6Ahmed, Serge H.; Guillem, Karine; Vandaele, Youna. Sugar addiction: pushing the drug-sugar analogy to the limit. CURRENT OPINION IN CLINICAL NUTRITION AND METABOLIC CARE, 2013. 7Paganini, Chiara; Peterson, Gregory; Stavropoulos, Vasilis; et al. The Overlap between Binge Eating Behaviors and Polycystic Ovarian Syndrome: An Etiological Integrative Model. CURRENT PHARMACEUTICAL DESIGN, 2018. 8Lee, Iris; Cooney, Laura G.; Saini, Shailly; et al. 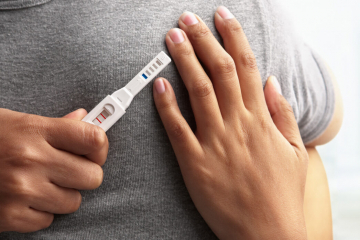 Increased risk of disordered eating in polycystic ovary syndrome. FERTILITY AND STERILITY, 2017. 9Bergqvist, AGC; Chee, CM; Lutchka, L; et al. Selenium deficiency associated with cardiomyopathy: A complication of the ketogenic diet. EPILEPSIA, 2003. 10Arslan, Nur; Kose, Engin; Guzel, Orkide. The Effect of Ketogenic Diet on Serum Selenium Levels in Patients with Intractable Epilepsy. BIOLOGICAL TRACE ELEMENT RESEARCH, 2017. 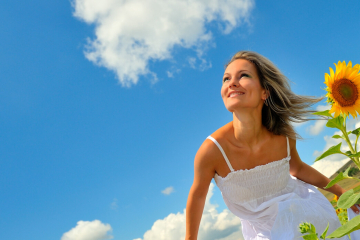 11Revolution Health Radio with Chris Kresser. You Are What Your Bacteria Eat: The Importance of Feeding Your Microbiome – With Jeff Leach. Podcast Episode, 20 November 2013. 12Sonnenburg, Erica D.; Sonnenburg, Justin L. Starving our Microbial Self: The Deleterious Consequences of a Diet Deficient in Microbiota-Accessible Carbohydrates. CELL METABOLISM, 2014. 13Gonzalez, Frank; Nair, K. Sreekumaran; Daniels, Janice K.; et al. Hyperandrogenism sensitizes mononuclear cells to promote glucose-induced inflammation in lean reproductive-age women. AMERICAN JOURNAL OF PHYSIOLOGY-ENDOCRINOLOGY AND METABOLISM, 2012. 14Gonzalez, Frank. Inflammation in Polycystic Ovary Syndrome: Underpinning of insulin resistance and ovarian dysfunction, STEROIDS 2012.